Following lunch at the CIA (see Lame Adventure 51) last Friday, Martini Max, Mom of Martini Max and I headed over in the Maxmobile to The FDR Presidential Library and Museum in Hyde Park where MoMM had a pass that granted us free tickets to visit ERVK – Eleanor Roosevelt’s home, Val-Kill Cottage, which is maintained by the National Parks Service. Ticket Seller: How many are in your group ma’am? MoMM: Three. My son’s in the toy department and his friend’s on the floor playing Diane Arbus by the dog. 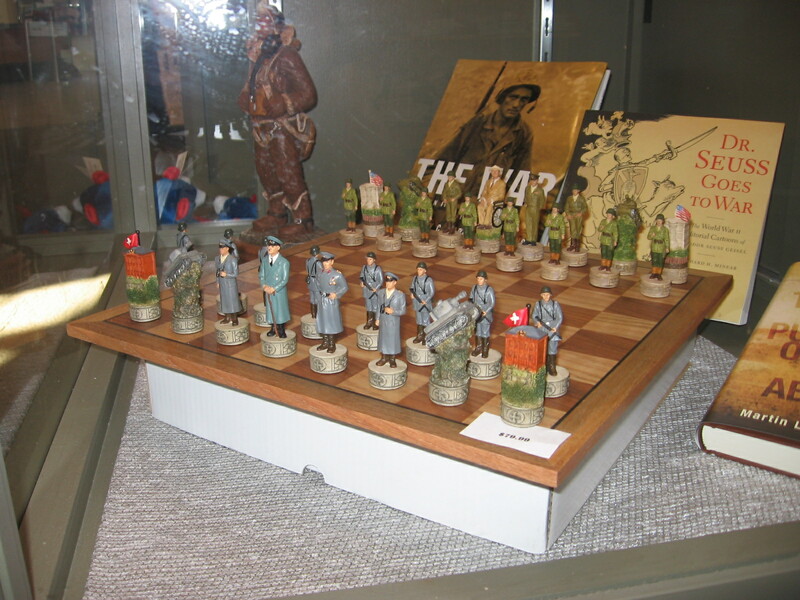 The chess set of Max's dreams. 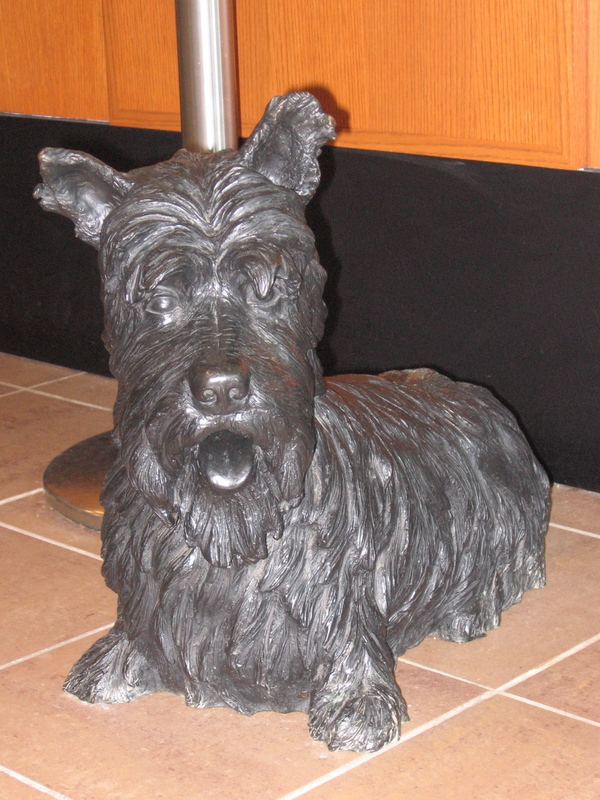 Lifesize monument to FDR's beloved Scottie, Fala. 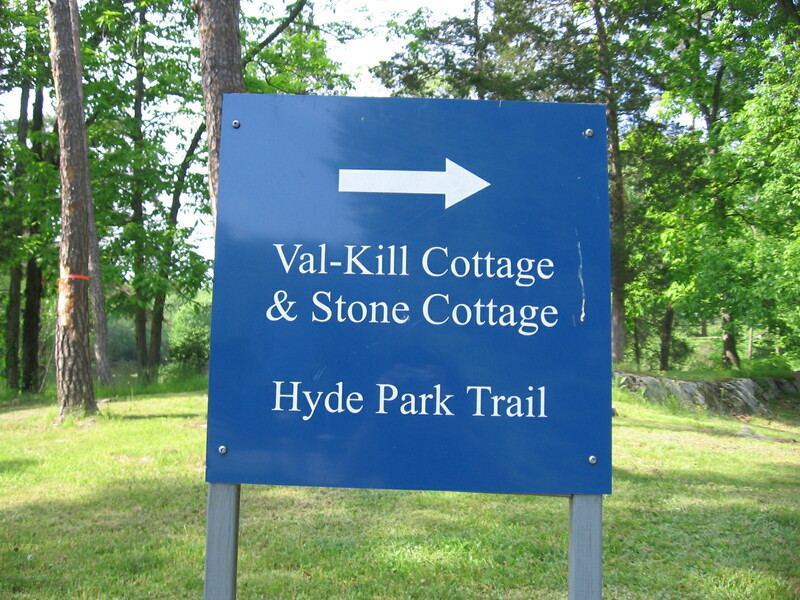 When we reached Val-Kill, ER’s private sanctuary; the place she called home following Franklin’s death in 1945 until she bought her own rainbow in 1962, we marveled at the beauty of the surroundings. 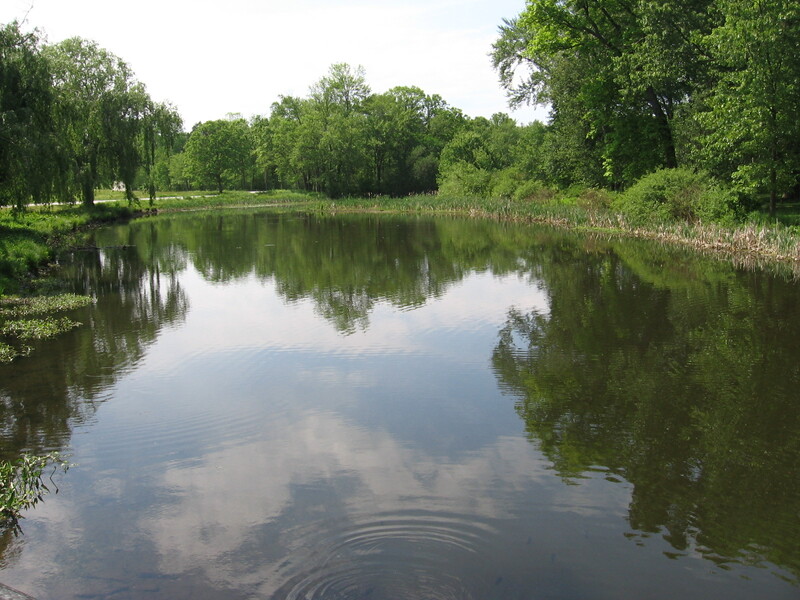 An idyllic pond, appropriately named Val-Kill Pond, flows nearby. It was so pleasant to see happy fish swimming in a body of water that has yet to be fouled by flowing BP oil. A view that's easy on the eyes. 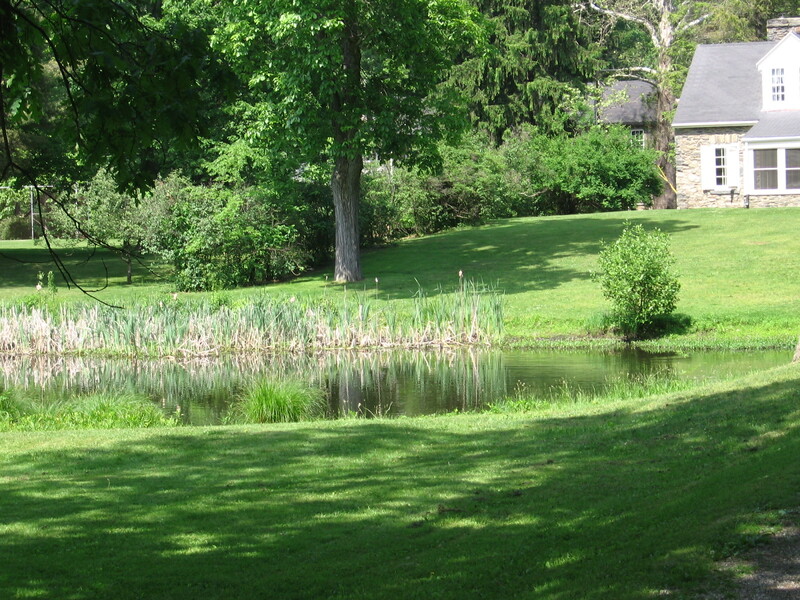 Val-Kill Pond with Stone Cottage in background. We walked across the footbridge and stopped at the boarded over swimming pool where FDR, Eleanor, and their brood used to gather. 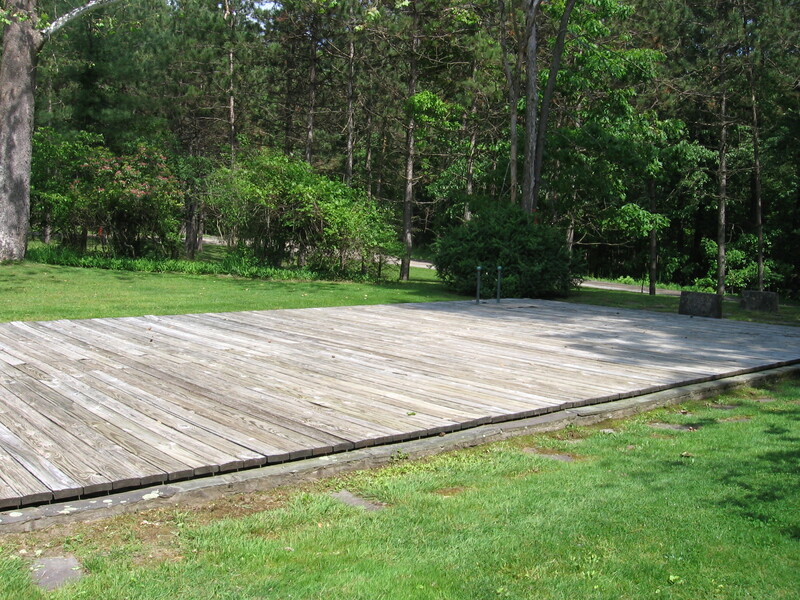 Boarded swimming pool with blocks frame right where diving board used to be. 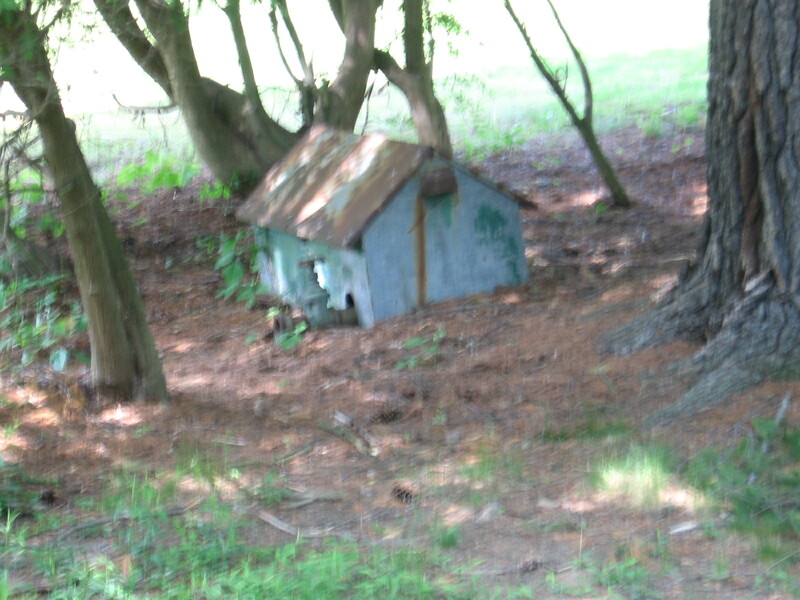 Max and MoMM noticed what we thought was a weathered doghouse near some trees, but I later learned that it was a dollhouse. As we waited inside the gift shop in Stone Cottage for our tour to begin, I noticed a Royal manual typewriter. I asked if this was Eleanor’s actual typewriter, but the clerk did not think so. 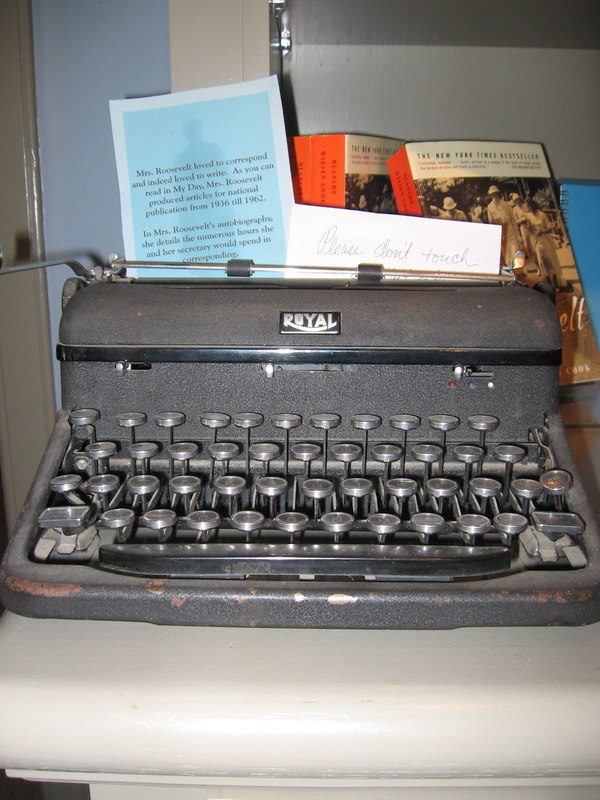 She thought it was similar to the one Eleanor used to write her 7,000 My Day newspaper columns between 1936 and 1962. Eleanor was blogging before blogging. One of the park workers told us we could enter the playhouse to watch a film biography about Eleanor narrated by Jane Alexander. 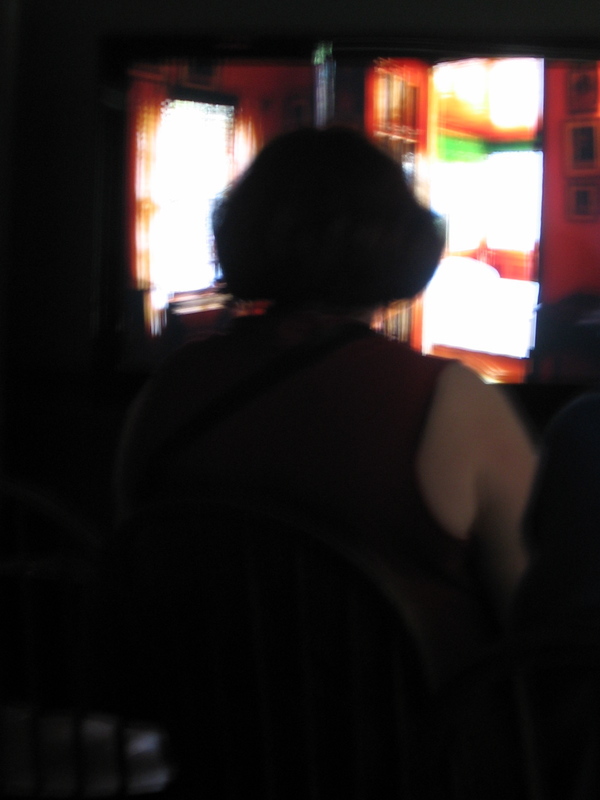 We were looking forward to this, but a woman with the body of a middle linebacker sitting in the front row completely obscured our view of the screen. Hey lady! Your back makes a better door than window! MoMM (sotto voce): Let’s move! MoMM got up, and Max and I followed her to seats with an unobstructed view. After the film, a park ranger started the guided tour over the grounds. 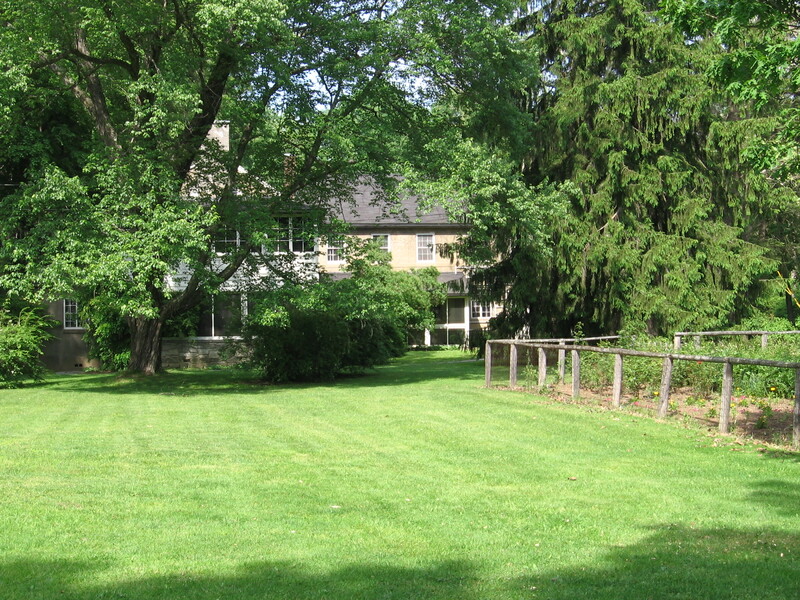 ER's cottage nestled behind trees with garden in foreground. 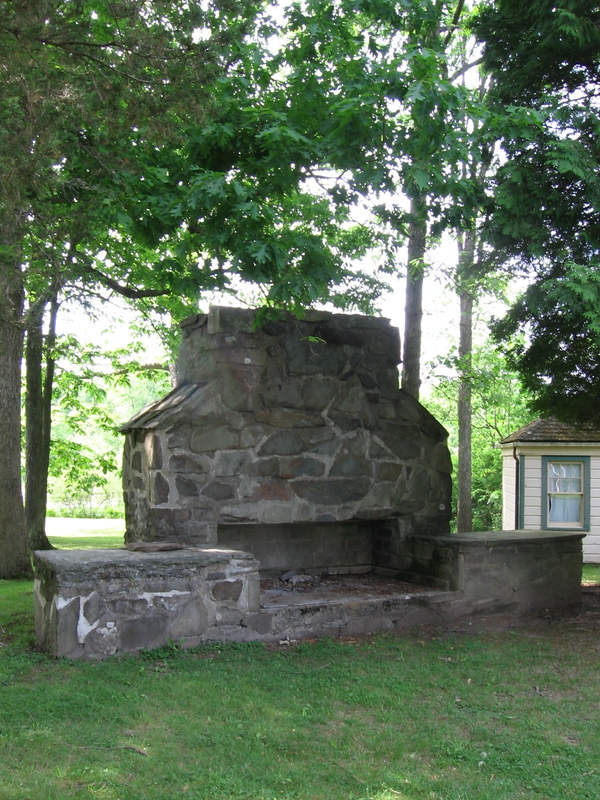 Before entering Eleanor’s cottage, he mentioned the names of many of her illustrious guests that entered the door we were about to step through. Tour Guide: … and John F. Kennedy [eyeing my camera] and no photography inside. Great American Max about to enter Val-Kill Cottage. 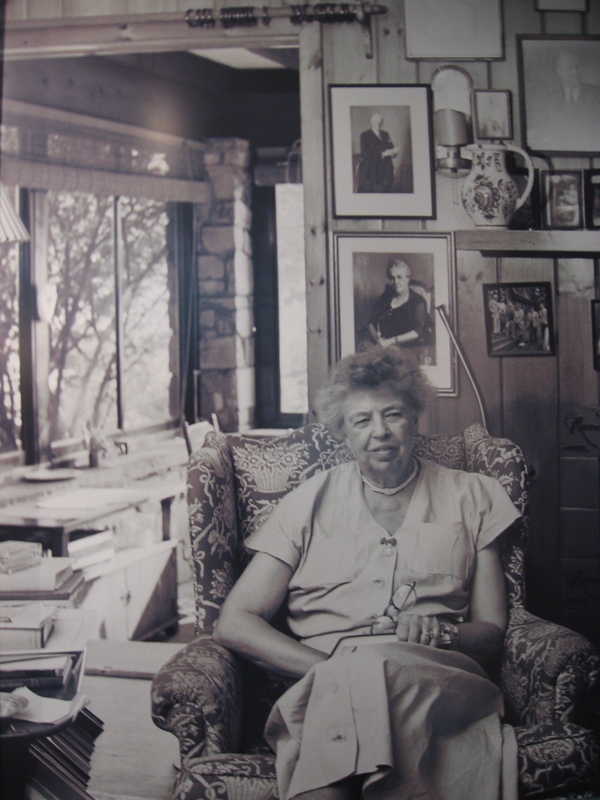 I did manage to elude arrest by photographing a picture of Eleanor that was taken in her cottage’s study, where she would meet with dignitaries. 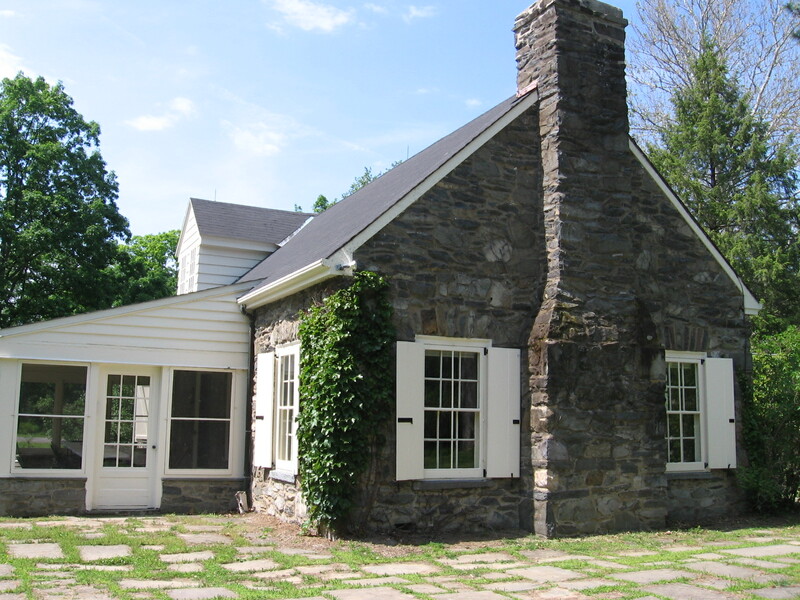 Great American ER inside Val-Kill Cottage study. Although a rope separates visitors from setting foot into this study, the wood paneling, the placement of the photo of Sara, her difficult mother-in-law, even the framed pictures on the wall and wall sconces, have all been preserved to recreate what her home was like when she resided there. It made us feel like we were stepping into history. Max was so overcome he wanted her easy chair and magazine rack. At the tour’s end, Max assumed the role of guide and led us to the outdoor grill. Channeling his brilliant powers of observation, he pointed out that it was specially built at a low angle to accommodate FDR’s wheelchair. 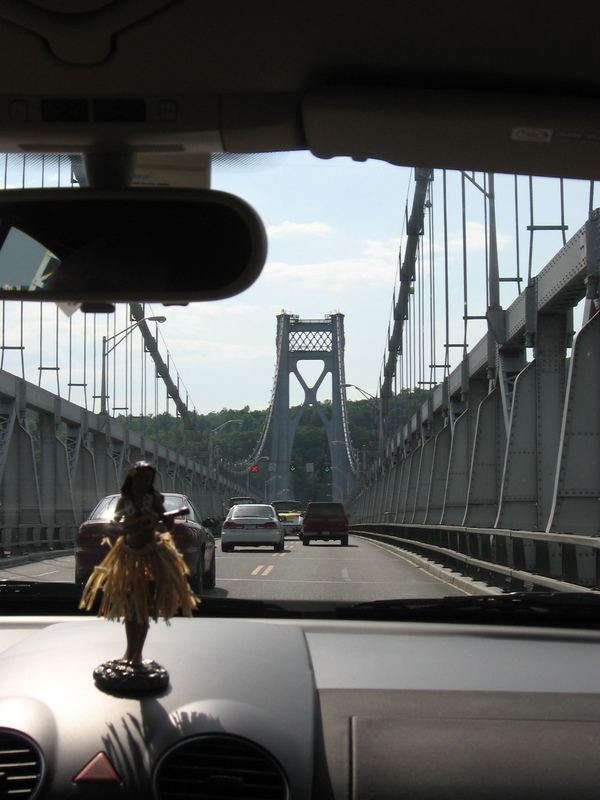 Then, we regrouped back inside the Maxmobile where Hanna, his dashboard hula girl, acted as Max’s GPS and we headed home. 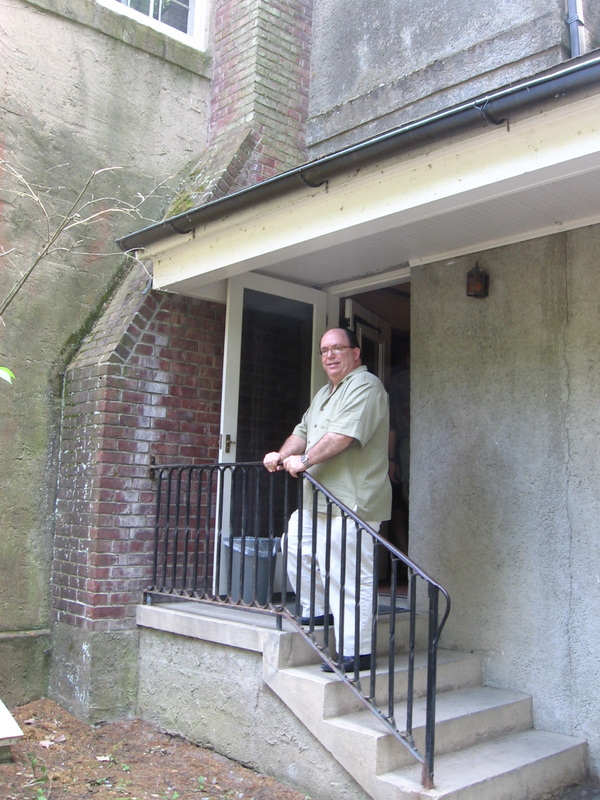 This entry was posted in Humor and tagged eleanor roosevelt, fala, fdr, hyde park, mid-hudson bridge, stone cottage, val-kill. Bookmark the permalink.